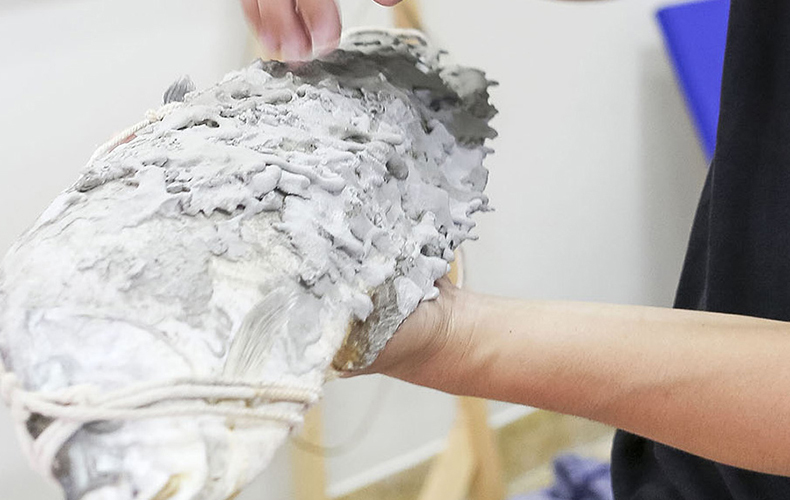 When the subject of art comes up, people tend to think of canvas paintings or sculptures, but there is a group of artists in this world who love working with more unusual materials. 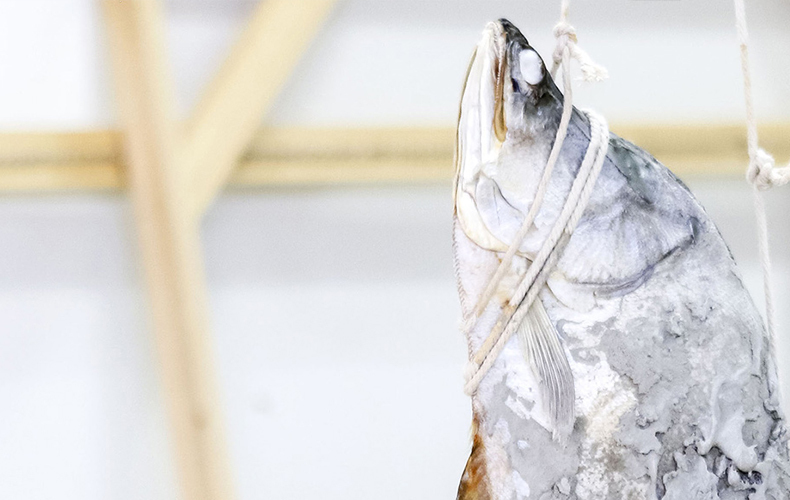 In the Bangkok Art Biennale 2018, which runs from October 19, 2018 to February 3, 2019 at 20 major locations all over Bangkok, you’ll see how sticky tape, cheap plastic baskets, propellers, or even fish can be used to create art. Now, before the festival starts, we’re going to give you some highlights: works made of unconventional materials and with non-traditional artistic methods. 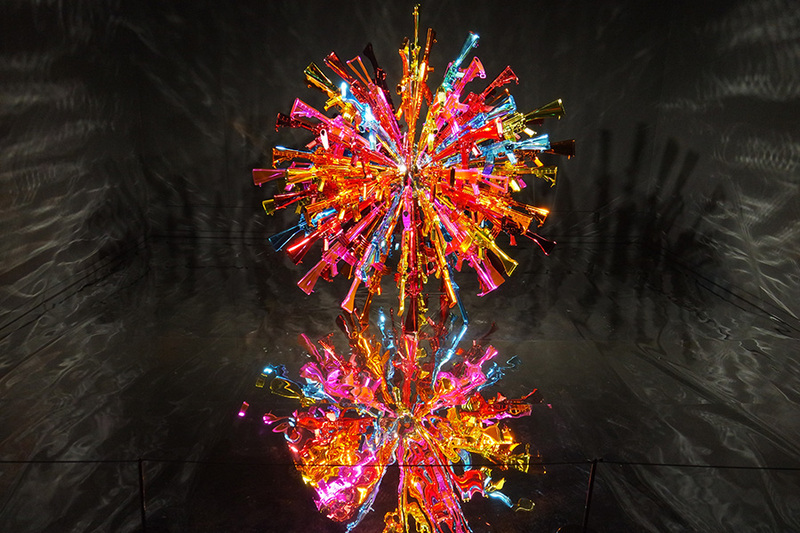 Choi Jeong Hwa is a South Korean artist and designer who favors the use of simple materials procuced by industrial systems for his richly colorful installation art creations such as the piece “Happy Together,” which put household items such as plastic baskets, trays, and colorful water glasses under elaborate lighting in a showing at the Kiasma Museum of Contemporary Art in Helsinki, Finland. Or his use of over 2 million plastic containers to cover the Seoul Olympic Stadium in 2008. 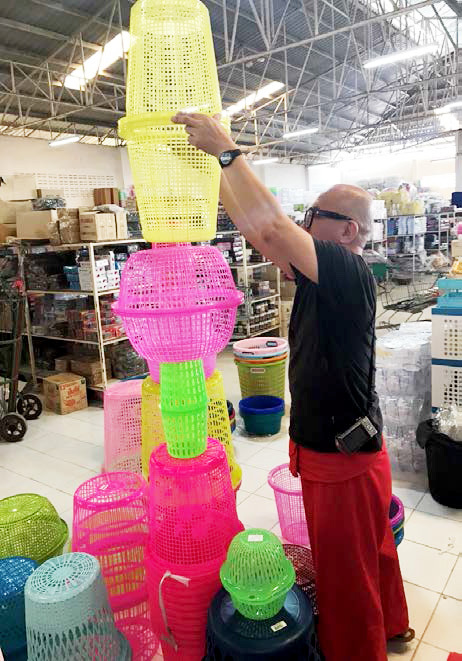 For the Bangkok Art Biennale 2018, Choi walked around markets in Thailand himself, buying up plastic baskets to create a huge colorfully sculptured chandelier. Bring your camera, you can snap a photo of it the Bangkok Art and Culture Centre! 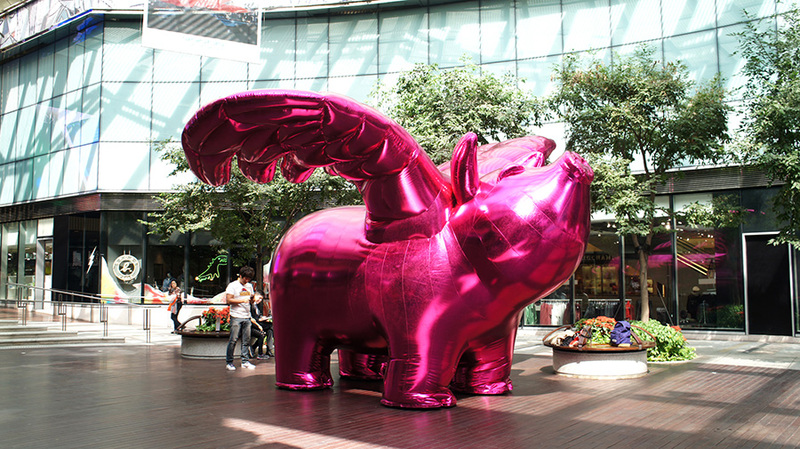 Anyone interested in enjoying more of Choi’s delightful works can see them at the Nai Lert Park Heritage Home, as well as in various merchandise outlets in the Siam Square/Chit Lom/Rajaprasong area. For today, we have some pictorial examples of Choi’s work that you’ll all be able to enjoy in person in just a few days. 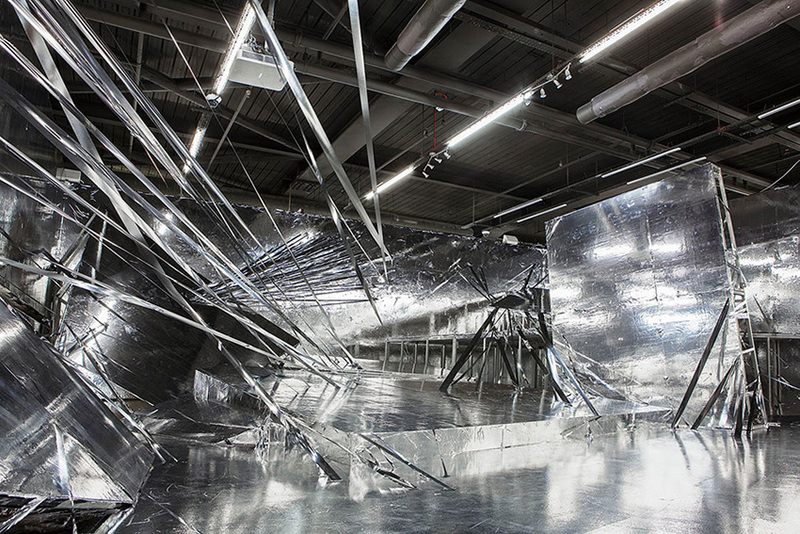 Diluvium is an installation art piece by Lee Bul. It’s a temporary structure built up from steel boxes welded together and surfaced with an adhesive material and light-reflective plastic sheet. 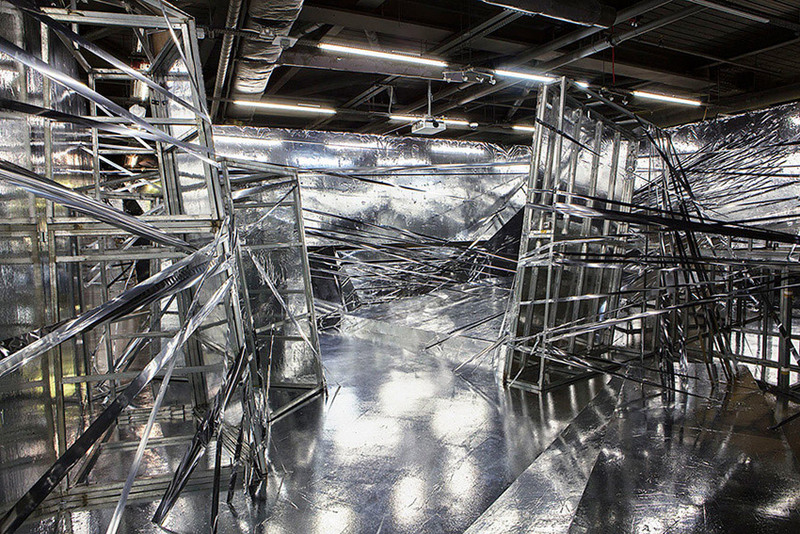 Lee is a South Korean female artist associated with many branches of art: painting, live shows, sculpture, installation art, and video. For more than 20 years she has held showings in museums and participated in many important art festivals all over the world. One aspect of her work that brought her to worldwide renown involved sculptures that imagine future eras by showing worlds of the future. Clearly the piece Diluvium is one of these. At Bangkok Art Biennale 2018 you’ll find Diluvium in the East Asiatic Building. The way its futuristic concept is set in an environmental context is especially interesting, full of historical references, and the end product has a rare beauty. Photo: Courtesy of Junyong Cho, Korean Cultural Centre UK, London. Numen/For Use Collective Design (Numen) is a group of three collaborating artists and designers from Berlin, Germany: Sven Jonke, Christoph Katzler, and Nikola Radeljković. The remarkable works that made this group famous are abstract, involve unique, new environmental dimensions, incorporate industrial design, and play around with open space. 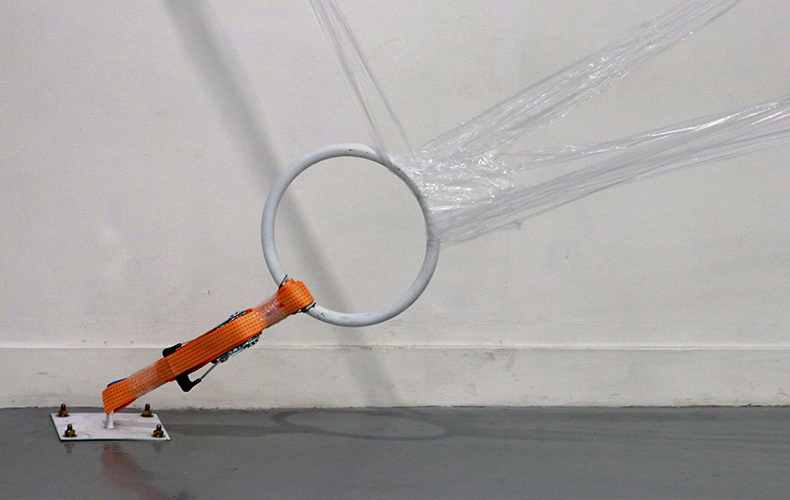 Many of this group’s creations on direct relationships between materials and people. For instance their piece Net Hasselt, shown in 2011 at Belgium’s Z33 House for Contemporary Art, strung hammocks together which people could climb around in as they floated like dark clouds inside the building. Then there was String Vienna, a sculpture of ropes in horizontal and vertical lines inside a giant balloon. The ropes were strong enough to support the weight of people clambering inside without risking a fall. 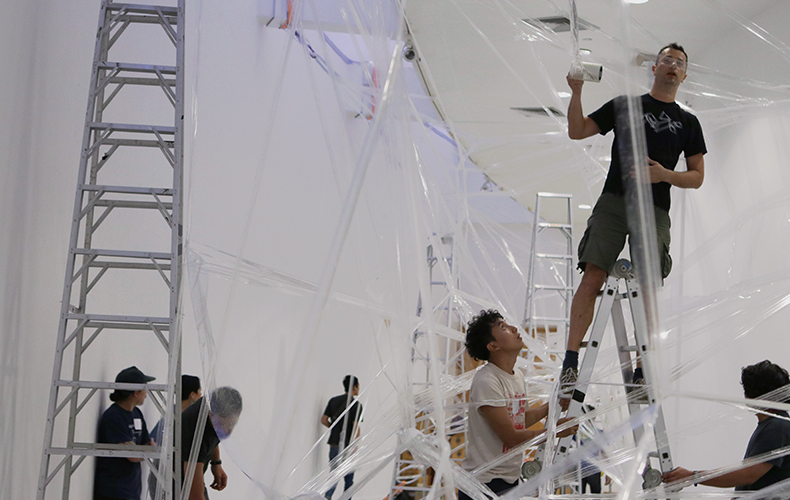 At Bangkok Art Bienniale 2018 you’ll be able to see Tape (a tunnel of sticky tape and clear plastic). 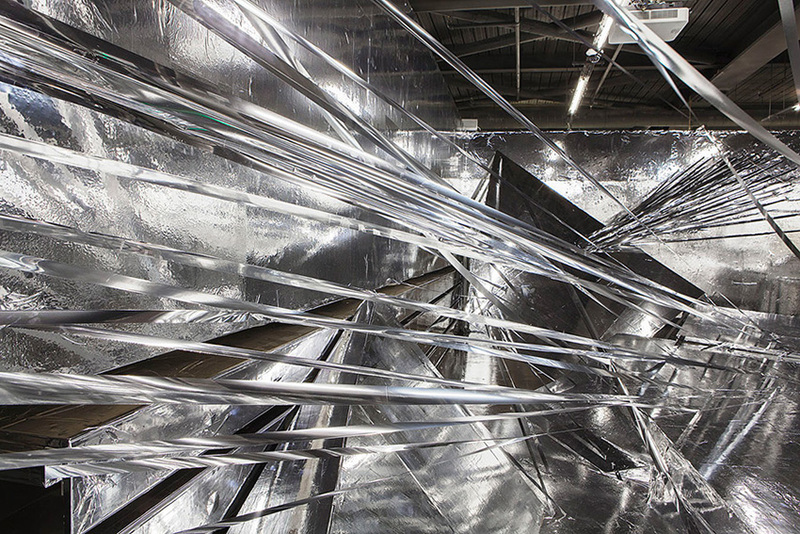 This work, which lifted the reputation of this group to a whole new level, involves the use of clear tape stuck together to form a tunnel large enough for people to get inside and comfortably move around in. 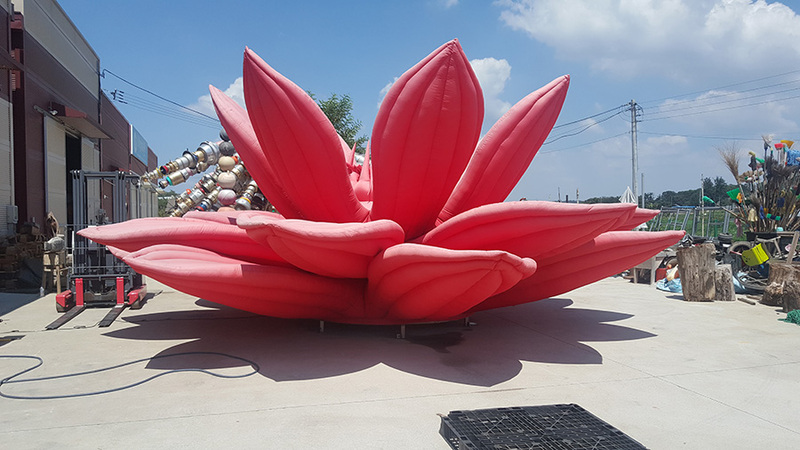 Numen has shown this type of work in locations such as Frankfurt, Paris, and the U.S. state of Ohio. 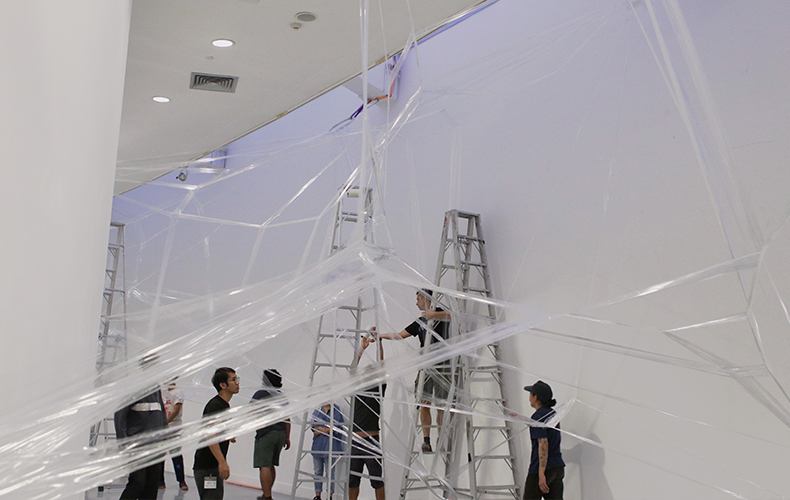 As Bangkok entered this queue, our Living ASEAN work team went to meet and greet the Numen tunnel tape installation team just as they arrived to start work on the tunnel which will welcome Thai and foreign visitors to the 7th floor of the Bangkok Art and Culture Center. The picture you see here is an exclusive “behind-the-scenes” shot taken on the first day of installation. 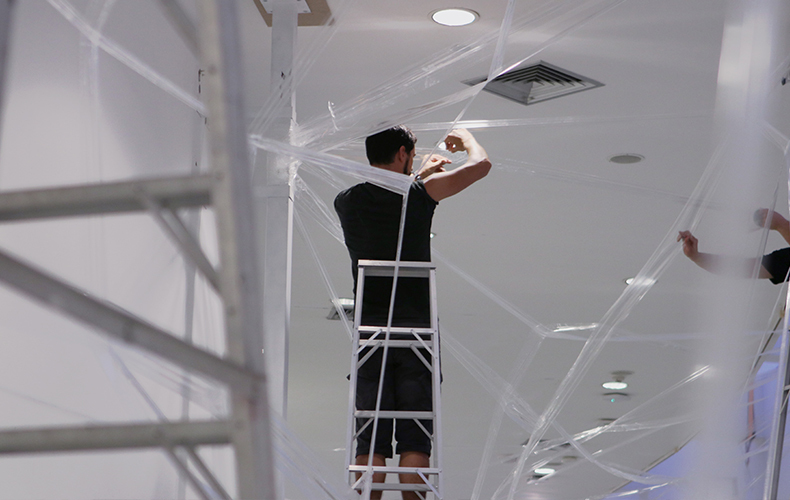 The Numen team assured us that the finished work will look quite different: the tape will be wrapped, wrapped, and wrapped, little by little, until the day the exposition begins or the tape runs out. Material: Fiberglass, wood, electronic apparatus, and propellers. 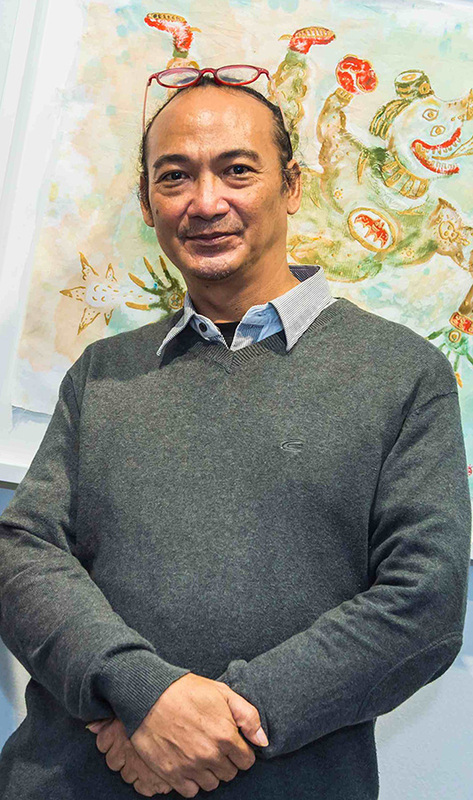 60-year-old Indonesian contemporary artist Heri Dono believes that “Art is the primary component of happiness.” His art not only delivers aesthetic pleasure, but has hidden meanings that point to distortions and call for social justice – possibly influenced by his coming of age around 1965, when Indonesian politics involved a lot of violence. 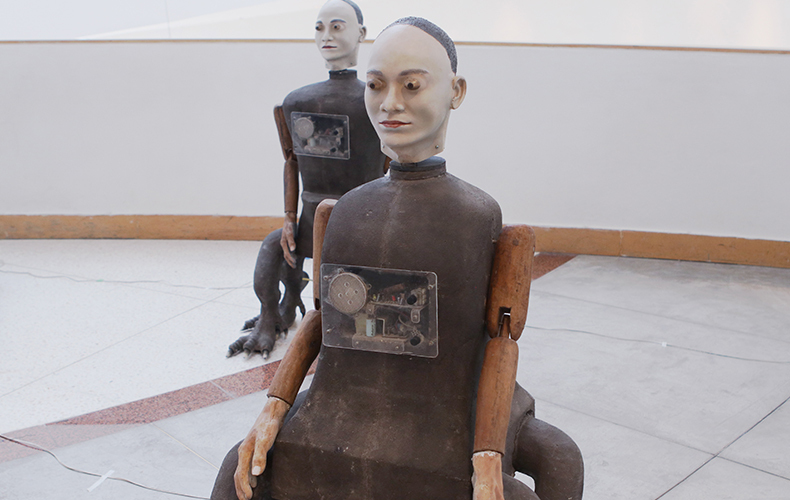 One of his works is Rekayasa Genetika (REGEN), puppet-like dolls in the form of genetically modified humans covered in machinery. This was inspired by wayang, the Indonesian shadow play, a folk tradition very similar to Thailand’s own nang talung. These miniature sculptures are made up of a variety of materials, including fiberglass, wood, electronics, and propellers. 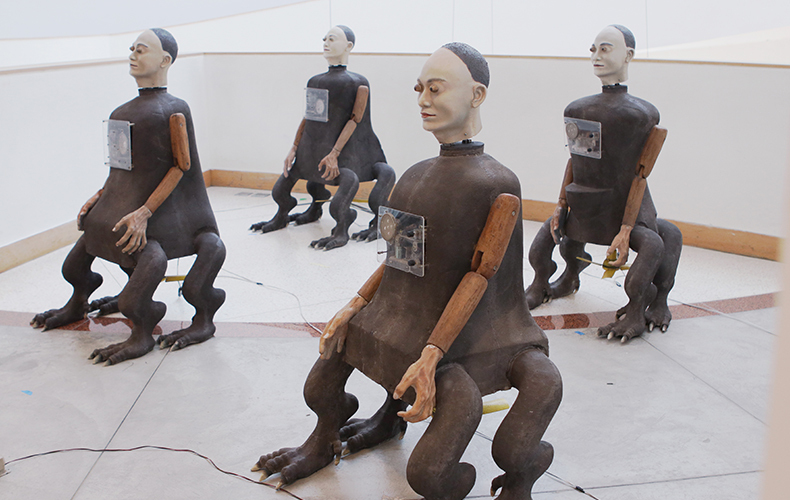 We were quietly informed that all the Rekayasa Genetika puppet dolls had traveled to the 7th floor of the Bangkok Art and Culture Center and were awaiting installation. After seeing them we can say in just a single phrase: absolutely not to be missed! Watch all the announcements. 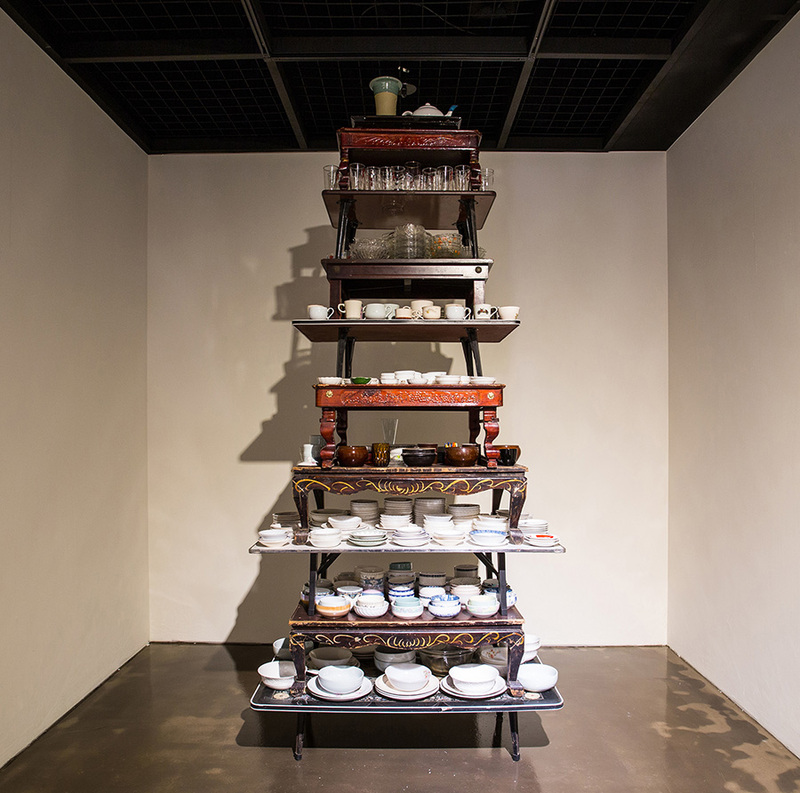 Patipat Chaiwitesh, artist and designer with a penchant for art made from everyday objects such as chopsticks, combs, and textiles, or even bananas, is someone who pays close and constant attention to changes in culture, society, and the environment. 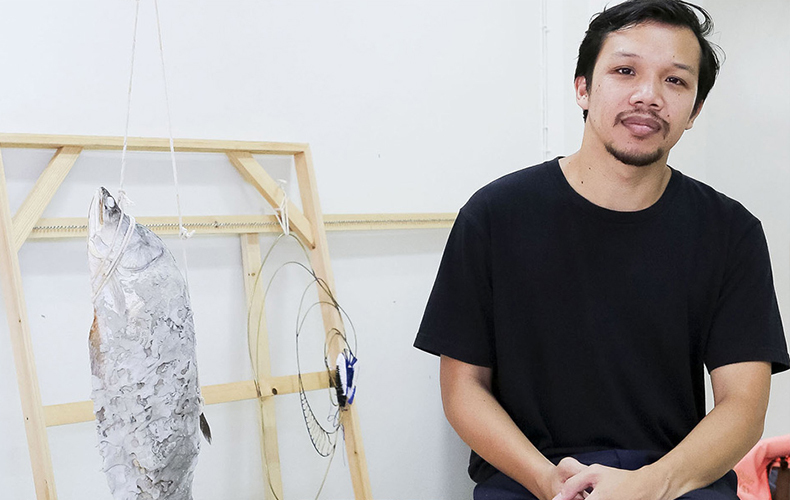 After graduating in Visual Arts from Chulalongkorn University’s Faculty of Fine Arts he received awards and participated in shows at various venues in Japan, France, and Germany. For Bangkok Art Biennale 2018, Patipat is the only artist using taxidermy-stuffed animals to create art. His works in the East Asiatic Building will take you into a “lab room of the future,” with sculptures of animals – including fish, birds, and shrimp – foraging along a river bank: each species displays a physical condition and behavior changed by an environment affected by human activity. 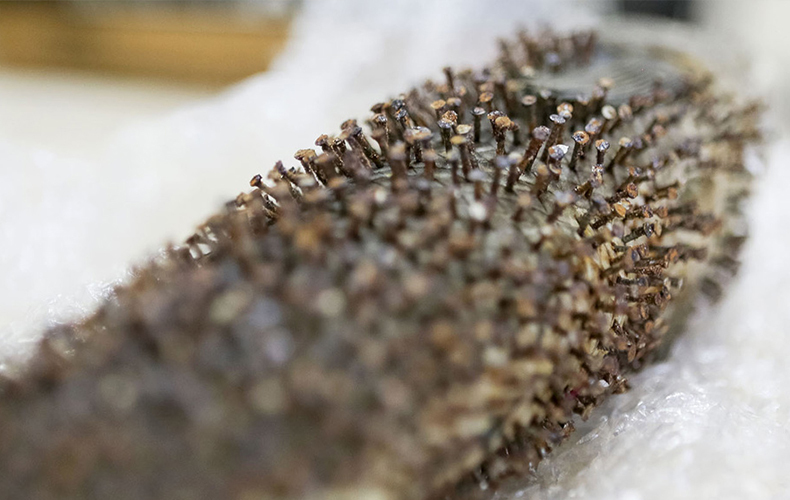 Patipat explained the process behind the use of these preserved animals as artist’s material. He begins by searching the markets to find and purchasing suitable animals that have died. These he takes to the lab room of the Chiang Mai University Veterinary Department, enlisting experts there to preserve the animal’s shape so it will not decay or deteriorate. Patipht’s own work begins at that point. 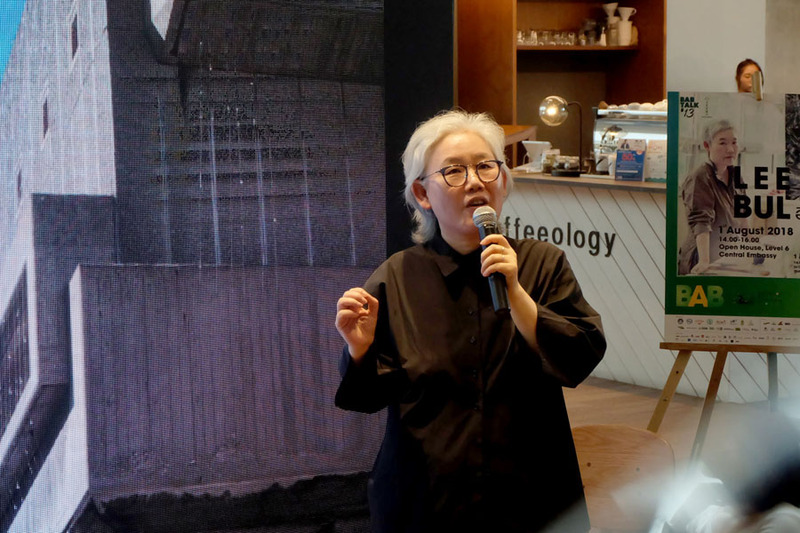 When the Living ASEAN and Bangkok Art Biennale 2018 work teams came to visit Patipat Chaiwitesh’s work studio we made a video clip here for us all to keep. 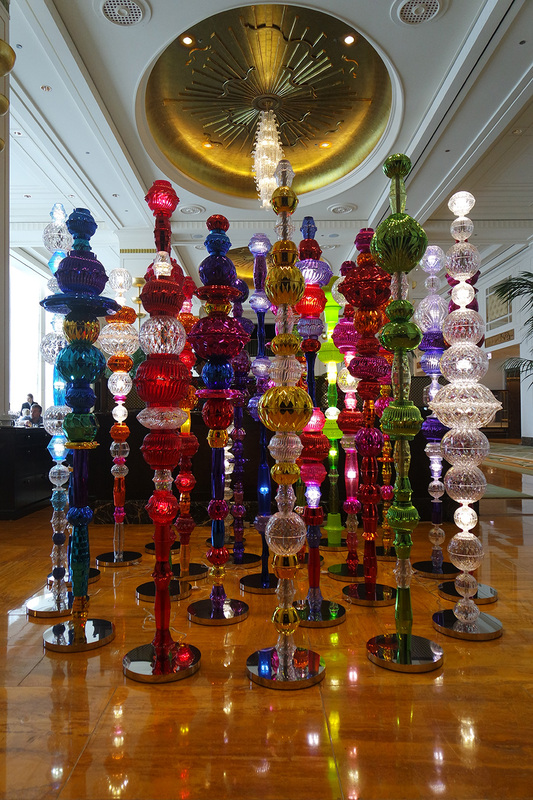 All these exciting exhibits make up only a fraction of the more than 200 artistic works that you’ll be able to get up close and personal and feast your eyes on. 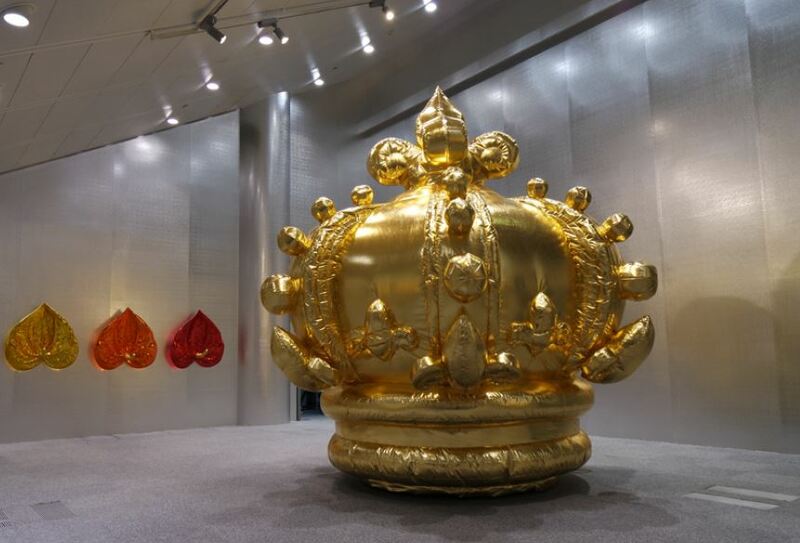 View to your heart’s content, and come back again, as the Bangkok Art Biennale 2018 festival of contemporary art will be here for more than three months, October 19, 2018 to February 3, 2019. Follow developments at Living ASEAN and baanlaesuan.com.